Conducted annually for 30 years, the annual J.D. Power Vehicle Dependability StudySM (VDS) seeks to identify those makes and models that are the most trouble-free for their owners. Each year, J.D. Power surveys thousands of original owners of cars, trucks, SUVs, and vans to learn what has gone right and what has gone wrong during the previous 12 months of ownership. This information is collected and analyzed, and the findings are published in the VDS. Based on this information, J.D. Power also created Vehicle Dependability ratings, expressed on a 10-point scale. These ratings help consumers to quickly and easily understand whether or not a vehicle was found to be reliable by the study. Consumers can also use the ratings to compare vehicles as they decide which one to buy. This guide includes the most dependable 2016 model-year coupes and convertibles from mainstream brands. They each receive an overall dependability rating of 9 or 10 out of 10, and are listed in alphabetical order. Often called “America’s sports car,” the Chevrolet Corvette is the stuff of dreams. Outlandish styling, big V8 power, and Made in the USA authenticity make it a red, white, and blue symbol of success. Available as a coupe or a convertible fortified with a rumbling 455-horsepower, 6.2-liter V8 engine or a supercharged 6.2 cranking out 650 hp, the Corvette supplies effortless speed. For the 2016 model year, a new Z06 C7.R Edition arrived looking like a street legal racing car, and Chevrolet made numerous equipment modifications to both the standard and optional equipment lists. The 2016 Chevrolet Corvette receives a Vehicle Dependability score of 9 out of 10. 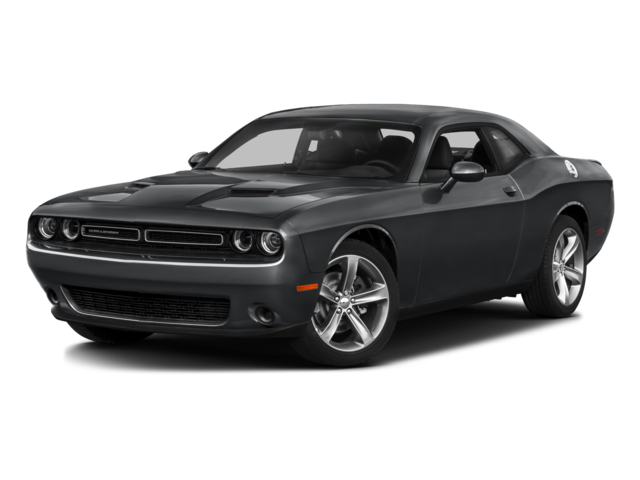 If it’s a dependable, classic American muscle car that you seek, look no further than the 2016 Dodge Challenger. Big, bold, and brash, the Challenger offers everything from a retro look with a relatively tame 305-hp V6 engine to an arrest-me-now SRT Hellcat with a 707-hp supercharged 6.2-liter V8. For 2016, Dodge didn’t mess with success, sticking to minor paint, trim, and wheel revisions. The 2016 Dodge Challenger receives a Vehicle Dependability score of 10 out of 10, and receives an award in the Midsize Sporty Car category. By the 2016 model year, few people bought the Honda Accord Coupe, let alone knew one even existed. Yet exist it did, offering LX-S, EX, EX-L, and Touring trim levels. Most were equipped with a 185-hp 2.4-liter 4-cylinder with a manual gearbox or continuously variable transmission (CVT), but Honda did offer a robust 278-hp 3.5-liter V6 for this car – and you could even get the V6 with a stick in addition to an automatic. For 2016, Honda made minor styling changes to the Accord Coupe, retuned the suspension, added a new infotainment system with Apple CarPlay and Android Auto, and expanded availability of Honda Sensing driver assistance and collision avoidance systems. Mazda redesigned the MX-5 Miata for the 2016 model year, reducing the car’s size and weight in a bid to return the 2-seat roadster to its purist roots. It came in Sport, Club, and Grand Touring trim levels, and featured a 155-hp 2.0-liter 4-cylinder engine paired with a manual gearbox or an automatic transmission with paddle shifters. For maximum driving enjoyment, the Club trim level equipped with the BBS/Brembo Package is what you want. It added lighter weight wheels, stickier tires, and stouter brakes to an already impressive sports car. The 2016 Mazda MX-5 Miata receives a Vehicle Dependability score of 9 out of 10. Redesigned for 2016, the Mini Cooper Convertible grew in size and sophistication. It came in standard and S trim, the former using a 134-hp 1.5-liter turbocharged 3-cylinder engine and the latter getting a 189-hp 2.0-liter turbocharged 4-cylinder power plant. Manual and automatic transmissions were available. As was true of other Mini models, the Cooper Convertible offered a wide range of personalization opportunities, and it’s not easy to find identical versions of this car. The 2016 Mini Cooper receives a Vehicle Dependability score of 9 out of 10, and receives an award in the Compact Sporty Car category. Because the modern Beetle is based on the same component set as the Volkswagen Golf, it's a more sophisticated vehicle than previous Bugs. Available in coupe and convertible body styles, the Beetle features a turbocharged 1.8-liter or 2.0-liter 4-cylinder engine, the former producing 170 hp and the latter making 210 hp. Manual, automatic, and automated manual transmissions are available. All but the base version of the car got standard Apple CarPlay and Android Auto for 2016. Volkswagen also revised the Beetle’s trim levels and added new colors, while the company dropped the turbo-diesel engine choice from the lineup. The 2016 Volkswagen Beetle receives a Vehicle Dependability score of 9 out of 10.